In Kyoto, in 1997, nations of the world agreed the Clean Development Mechanism (cdm) was a competent way to combat climate change. The process would assist developed countries in lightening their burden of excessive greenhouse gas emissions. It would help developing countries on to a less polluting growth trajectory. Says the 2003 National Action Plan to operationalise Clean Development Mechanism in India: "it is important the country should gear up and get ready...to take the maximum advantage of the CDM, which will not only benefit the industries, the farmers and project promoters, but will also help...in achieving the objectives of Sustainable Development, reducing pollution and promoting environmental protection." Close to Godhra town in Gujarat is a factory of the Gujarat Fluorochemicals Limited (gfl). The mammoth factory has a unique claim to national, and global, fame: it is India's first project to be approved under the Clean Development Mechanism (cdm). It has successfully met the complicated demands of the clearance procedure of the international cdm Board based in Bonn, Germany. What's the world-saving deal gfl has clinched? According to information on the website of the United Nations Framework Convention on Climate Change -- unfccc, the secretariat that overlooks the global environmental treaty on climate change -- gfl can sell 3 million Certified Carbon Reduction Units (cers) each year. As the cdm mechanism provides, nations that must reduce their greenhouse gas emissions can buy these units, each a tonne of carbon dioxide equivalent. A buyer already exists for gfl: the Netherlands government, assisted by Rabobank. The project is truly global. The British government has allowed Ineos Fluor Limited -- a company that, among other things, manufactures and supplies refrigerants -- to provide gfl the requisite technology. The Japanese government has allowed Sumitomo Corporation to assist in maintaining and operating the plant; by so doing, they will pick up cers for the Japanese government. What's gfl earning by selling 3 million cers every year? Down To Earth's efforts to discover prices were not successful. "As a bank policy, we do not give names of our clients," informed Genneke Segers, head of the carbon procurement department, Rabobank. "But since information regarding our transaction with gfl is available on the unfccc website, we can merely state we will buy cers from them. The price and volume are confidential information," added Segers. When contacted, Ineos Fluor Limited clarified they are not buyers, but that they own a part of the cer s. But "information regarding the volume of cers we own is between gfl and us," explained Louise Calviou, business development manager, Ineos Fluor. "Putting it in the public domain would mean a breach of contract." In other words, the market for cers is completely non-transparent. During discussions with various cdm stakeholders Down To Earth found that the cheapest carbon credits can be sold for is us $5 per cer; the price can go up to us $10 per cer. Thus, if we assume the lowest rate, gfl will get Rs 68 crore each year. Since the deal is expected to last for 10 years, gfl -- at the least -- will make Rs 680 crore. srf Fluorochemicals, a factory based in village Jhiwana, Alwar district, Rajasthan, is also in the cer business. As the company informs, it could sell up to 3.8 million cers every year. Their deal, too, is a 10-year one, making it 38.3 million cers. Here, too, the company was secretive about revealing the cer price to the public. When asked about it at an investors and analysts conference, Ashish Bharat Ram, srf's president and executive director, said: "We cannot share the price of the cers due to confidentiality reasons." Assuming the least price per cer -- as above -- srf will annually make Rs 86 crore (Rs 860 crore over 10 years). srf's project has been validated by Det Norske Veritas (dnv) -- a project validating concern. It will shortly be listed for clearance at the cdm board. srf has signed contracts with uk -based icecap Trading (set up to trade in carbon) and multinational oil-major Shell International Trading Group for an initial 500,000 cers. P urchase agreements for cers have also been signed with two carbon trading funds: kfw Germany and edf Trading, uk. Two companies. A global mechanism to combat climate change. It is a grave public concern that such a mechanism is riddled with lack of transparency. The process adopted should not become a precedent. No doubt it is a lucrative business. The stock prices of these companies have increased but this is not a matter of money, but of public global interest. These companies manufacture hcfc-22, a gas used in refrigeration. It generates a by-product called hfc -23. The global warming potential of carbon dioxide is 1, hfc-23's potential is 11,700: it is that potent. Thus all srf and gfl have to do is to capture and destroy hfc-23 before it melts into the atmosphere. For this, the companies need 'thermal oxidation' (incineration) technology. srf says it needs Rs 13 crore for it; gfl didn't disclose the amount, but the cost will be comparable. And on this technology is predicated what could be called the cdm windfall the companies are looking to. hfc-23's destruction is globally the most popular cdm scheme. Projects promising to do this were the first the cdm board approved in India. The unfccc secretariat estimates that if 30-odd plants manufacturing hcfc -22 -- in the process incinerating hfc -23 -- already set up in developing countries apply for cdm benefits, more than 100 million cer s per year could be generated by 2012 (the time by which developed countries must meet their first set of commitments to reduce global warming). This is a large slice in the cdm market, which is 50-180 million tonnes of carbon equivalent, or 50-180 million cer s, per year, as per a 2005 study commissioned by the Union ministry of environment and forests (moef). Now, this slice is just the thing developed nations want. And, as matters stand, burning hfc -23 is about the cheapest, easiest and most reliable way to cash in on cdm benefits. It is a very sweet deal. All it requires is incinerate the gas. No wonder then, in terms of the projects registered and under unfccc validation, hfc -23 accounts for almost 12 million cers a year, roughly 24 per cent of all cer s being sold. No wonder, srf and gfl are dreaming of a rosy future. Is it easy to get a cdm project cleared? Project proponents develop a project design document (pdd), for which they usually hire a consultant (see chart: Worthy of credit). gfl and srf hired PricewaterhouseCoopers. The two companies then had to hire a set of auditors to independently check the project report and validate their projects -- the cdm board calls these auditors 'designated operational entities', does. If these entities give the green signal, it means the project meets unfccc criteria; the process is dominated by inputs from private validators and the cdm executive board seems to player a lesser role. 11 such does operate globally today, five in India. After the Board clears a project -- like it did gfl -- a second entity (one of the 11) is called in to certify in writing that the project indeed reduces greenhouse gas emissions. In srf's case dnv was the first-order validator; the company now has hired uk -based sgs to monitor its compliance. Down To Earth has reviewed project design documents and made visits to the field to verify the existing situation. What it found should make governments question and revamp procedures urgently. Why? Reason 1: The Marrakesh Accords (that lay down the cdm procedures) make it clear that cdm benefits cannot accrue to a project unless its environmental impacts are studied. If these impacts are "significant", an environment impact assessment (eia) must be done in accordance to rules laid down by a "host nation". The sgs -validator report for gfl says "existence of the [eia] report has been verified during site visit". However, despite repeated requests Down To Earth couldn't get the eia document from gfl and PricewaterhouseCoopers. The latter's representatives maintain eia has been done, but could not produce a copy of it for us. Reason 2: srf and gfl are located, respectively, in Rajasthan and Gujarat. The project design documents for both projects say that the companies identified key stakeholders -- trade unions, villages -- and invited them for a consultation. srf says it called both together; gfl says it met them separately. But Down To Earth found something bizarre. For both gfl and srf, the same questions are asked during consultations. The answers are also verbatim, with even spelling mistakes being repeated in the documents (see box: Cut and paste stakeholders). Thus, even if the consultations were held, their record in the documents does not seem credible. Clean plants: true or false? Down To Earth then visited both plants and met stakeholders. gfl: According to gfl 's project design document, prepared in 2003 and updated in 2004 after validation, the plan to build a 'thermal oxidation facility' was to be completed by September 2005. Yet Down To Earth , visiting the plant, found construction still under way. Further, gfl's management refused to allow Down To Earth access to the existing vent site, stating "proprietary information" rights. Also, the gfl management refused access to the 'solar oxidation pond' in which effluents are treated before discharge. D K Sachdeva, vice president, operations, told Down To Earth the company was not producing any kind of pollution at all; any such talk was politically motivated. "As we are the only factory in this area, people make allegations to make money," he asserted. But some neighbouring villagers complained of air pollution, of crops being affected, especially during the rainy season. They also believed water pollution in their villages was on the increase, and this was because of leaching from the pond. srf: Some neighbouring villagers claimed the water the factory used was depleting their aquifers. On a second visit Down To Earth made to the site, 10 days after the first foray, work had begun on a new effluent discharge channel. Inside a local school, the handpump was painted red, warning children that the water was contaminated. Just outside, a yellow pond of industrial effluent explained why. The pond is fed by a yellow stream flowing through the village. People recount allergies, rashes, crop failures and no safe drinking water. The stream has two sources. One is the Bhiwadi Industrial Area. The other is srf . The company has an effluent treatment plant that meets the specifications of the Rajasthan Pollution Control Board (rpcb). However, some of the villagers insist that srf is polluting their water, as the groundwater around the plant is polluted. Bargaining for cer prices, and selling them, is completely the privilege of the two parties involved. Where the national government comes in -- crucially -- is in deciding if a project meets the country's sustainable development criteria, fixed by a national cdm authority set up under unfccc obligations. In India, moef has set up such an authority (gazette notification dated April 16, 2004). It has the following criteria: "Social well being; Eeconomic well being; Environmental well-being and technological well-being". Although these are further defined, there are no parameters specified by which it would be possible to empirically find out if the criteria are being satisfied or not. Moreover, is the national cdm authority merely functioning like a clearing house? According to its member secretary R K Sethi, it meets once a month to clear anything between 10-40 projects: the project proponents submit the project design documents and make a short presentation, which are then reviewed by representatives from different ministries. When Down To Earth contacted Sethi, he clarified project rejection was usually not the norm in such meetings. Why? "Consultants like PricewaterhouseCoopers give good project design documents." This is not surprising for Down To Earth . Industrialised country buyers require 'certified' assurance the 'emission reduction' they pay for is reliable. They only trust their own. But what is surprising is that moef's eligibility criteria for cdm simply mentions "sustainable development criteria" will be a basis to evaluate projects. In this spirit, moef's letter of approval for gfl states it "contributes to sustainable development in India". But how? It does not clarify. One could argue: the company's burning hfc-23. But the Union government has no regulations on hfc-23. It is imperative that the full impact, local or otherwise, must be subjected to careful scrutiny. The present process is unsatisfactory. gfl 's project design document defines the company's contribution to sustainable development as "including empowering...rural communities in the vicinity...; indirectly increasing income security of vulnerable sections...through redistribution benefits on account of the economic activities associated with the project; and...mitigation of water and natural resource scarcity in and around the project area." But Down To Earth itself saw no evidence of any credible sustainable development. Moreover, project validator sgs accepts there are no monitoring guidelines to benchmark work done on sustainable development. It seems sustainable development is not an important enough goal. The same disinterest was visible in Alwar. srf's validation report by dnv states that it is not responsible for whetting sustainable development criteria. The srf project design document talks about a massive 7,000 hectares afforestation project, in the waste land and hilly areas in the region, prominently advertised in the project design document. 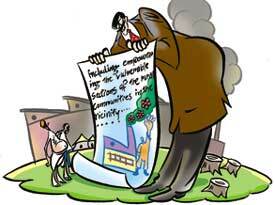 But when asked by Down To Earth, several srf officials seemed to be unaware of these afforestation plans. Thus, if the ground reality is that projects with slated global benefits have nothing to contribute to national sustainable development objectives, however defined, they need to be reviewed carefully. 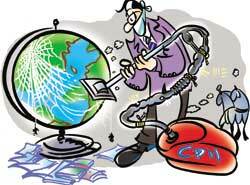 cdm cannot become an industry hobby-horse made for industry, by industry. To permit this to happen subverts the objectives of cdm; and damages India's international reputation. the Indian cdm basket includes a variety of biomass projects -- to generate electricity from agricultural residues like rice husk, cotton sticks, chilli waste, mustard sticks and wood of Prosopis juliflora. 24 such projects are in the process of being validated/registered with the cdm Board. They constitute about 44 per cent of Indian cdm projects, 57-odd in all, listed on the unfccc website as on September 9, 2005. But projects are small, and add up to only nine per cent of cers India could sell through its projects. 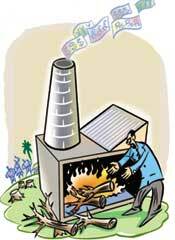 If all the 24 biomass projects are cleared, India could sell roughly 700,000 cers, earn Rs 16 crore per year (at us $5 per cer). Privately owned, these would generate 3-12 megawatt (mw) of power, selling it mostly to state electricity boards. The Indian government has been promoting these projects through its Union ministry of non-conventional energy sources (mones), and many states now have a power purchase policy under which they will buy biomass-generated power at rates varying from Rs 2.25 in Uttar Pradesh to Rs 3.32 in Rajasthan per unit generated. The cdm credit, roughly Rs 14-15 lakh per mw per year, gives additional benefits for plants to operate. The first registered project is in Rajasthan, by privately-owned Kalpataru Power Transmission Ltd. It will sell the Netherlands government a total of 313,743 cer s over 7-10 years. At us $5 per cer, the company will get roughly Rs 1 crore per year for carbon credits sold. It sources raw material from farmers -- mustard sticks, agricultural residues like rice husk or even saw dust. It sells power to the Rajasthan state electricity board. The project design document does not specify the rate, but the state purchase policy for biomass-generated power is Rs 3.32 per unit. In this way, the state uses electricity from renewable sources, replacing coal and so saving carbon dioxide emissions. But when contacted, Ajay Manot, owner of this 'green project', refused to allow Down To Earth access. Shouldn't information about these projects be put in the public domain? Roughly, 1 mwh of power is generated using 1-1.5 tonnes of biomass. Thus, a 7.5 mw plant, operating at 100 per cent capacity, would need 65,700-98,550 tonnes of biomass per annum. If the raw material is purchased at Rs 800 per tonne, the plant spends Rs 0.80 per k wh on it. If bought at Rs 1,200 per tonne, the plant will spend Rs 1.20 per k wh on its raw material. Thus, the economics and sustainability of these plants are determined by the price of biomass used. Also, all these projects are in the private sector, sourcing raw material from rural areas and supplying energy to urban and industrial-grid connected India. The questions to examine, therefore, are: whether raw material sale is also benefiting people, and whether the raw material is sustainably sourced. All biomass project design documents parrot the projects will use "surplus biomass", which they say remains "otherwise underutilised or burnt with no commercial value." This premise is unfounded. All potential raw materials planned for biomass gasification have competing uses -- rice straw is used as fodder; mustard sticks and P juliflora are the fuelwood of the very poor. Users of these raw materials are very poor -- mostly women who collect for home or sale. They are weak competitors. To counter their weak bargaining power, the companies should be made to pay a reasonable assured rate. The project design documents justify cer s by saying the price of raw material has increased: in one case -- Satyamaharshi 6 mw biomass project -- the report says the price of lowly P juliflora has increased from Rs 460 per tonne to Rs 1,000 per tonne; rice husk from Rs 800 to Rs 1,350 per tonne and all other biomass from Rs 600 to Rs 800 per tonne. If this price will indeed be paid to farmers and other growers, it means benefits will be distributed. But is the raw material actually being bought at these rates? From whom? Project design documents do not establish a relationship with growers. Then, are these plants using raw material sustainably? If the project design documents are any indication, the simple answer is: very little. The documents simply say stakeholders have expressed satisfaction with the projects. In four different project design documents prepared by the world's leading consultancy firm, Ernst & Young (as told by project developers), it appears that an entire important section is copy-pasted (see box: Really creative carbon accounting). Such mechanical, formulaic response undermines the legal requirements. These subjects (consultations) require detailed individual treatment. Down To Earth visited Hiriyur in Chitradurga district of Karnataka, where carefully guarded 20 mw R K Powergen Private Limited plant uses biomass. The project is to apply for cdm credits. The Indian government has approved it; private consultant Anandi Sharan Meili, who specialises in biomass projects, is preparing the project design document. Some residents of village Babboor near the plant expressed enormous anger. It was fuelling, they said, large-scale deforestation. "First, the plant cut the trees of our area and now they are destroying the forests of Chikmangalur, Shimoga, Mysore and other places. They pay Rs 550 per tonne of wood, which they source using contractors. The contractors, in turn, source wood from all over the state," says M Tepaswami, a 65-year-old resident. Alleges V Jayprakash, "Now poor people find it difficult to get wood for cooking and other purposes." The economics of transportation ensures contractors buy wood cheap -- below Rs 200 per tonne. This is a case for the government to investigate and establish that the wood is being sourced legally. Tepaswami also told Down To Earth that the owners bought land from villagers saying they would use it for agricultural purposes. The plant was built. Jobs were promised. "There is no end to their deceit: 20 residents of Babboor were promised jobs but all the employment benefits were given to outsiders. We were perceived as trouble makers," says M Chandrashekar. The project is allegedly causing other problems. According to some employees of the Karnataka Power Transmission Corporation Limited (kptcl), managing the electricity grid located next to the factory, air pollution levels have increased drastically. "The temperature has increased; our equipment is adversely affected due to the factory's pollution," asserts B Nagraj, maintenance engineer, kptcl, Hiriyur. According to the villagers, emissions have also affected crop yield. "Moreover, three borewells as deep as 91 metres have been dug at the factory premises. As a result, the groundwater level of our area has plunged drastically and no water is available for irrigation," asserts A G Prabhudev. Project managers deny the allegations. "Apart from wood of abundantly available species, we also use the husk of rice, groundnut, coffee, waste from sugarcane and chilly and sawdust in huge quantities," asserts Amit Gupta, the plant manager. To generate 20 mw of power, the company would require between 175,000 to 260,000 tonnes of biomass each year. But inside the factory, Down To Earth found a large amount of wood, but very little other biomass. Gupta adds, "To generate 500,000 units of electricity per day, we use 500 tonnes of wood. But if there is deforestation, then local people are to be blamed because they are supplying the wood to us." Meili informed Down To Earth the project would generate 100,000 cers every year. Sold at us $5 per unit, R K Powergen would earn about Rs 2.3 crore each year. Thus far from achieving the objectives of sustainable harvesting, the forests is put at risk for commercial interests by those under a legal duty to preserve it. This concern was also voiced in front of Down To Earth at a workshop on ' cdm in forestry' organised by the Andhra Pradesh Forest Academy in Dulapally, Hyderabad. "Biomass plants are leading to deforestation. Worse, people are cutting tamarind trees for these projects as they have very high calorific value; this tree is important to the livelihood of poor people," B V Prasada Reddy, state conservator of forests, told Down To Earth. Power generation through decentralised projects using biomass energy, as against dirty fossil fuels, is definitely a way to the future. But for this, the project design needs a supportive policy framework which ensures biomass is sustainably harvested; that the benefits of raw material supply and even power generation go to local communities and the adverse impacts of burning biomass are mitigated through pollution control measures. Distributed energy for villages not connected to the grid will ensure countries like India find alternatives to the global warming carbon-trajectory. But the current breed of biomass projects is a quarter-measure. All in the private sector, they are ironically making use of provisions of a simpler mechanism within the cdm that should have benefitted small communities. The power generated is sold to the grid, not locally used. The situation should change. Clear conditions should be layed down for a minimum guaranteed rate of the raw material; this should also ensure that the raw material is obtained from sustainable sources. Then there should be stringent provisions to ensure that biomass plants do not lead to local air pollution or destroy water sources. The profits, determined by the cheap raw material used, should also be made transparent in the project design documents. What should be done is to build a portfolio of biomass cdm projects, which combine power generation with afforestation. These projects would combine cers available for planting trees -- made a prerogative of farmers -- with cers available for generating power. Currently, cdm projects offer a pittance for afforestation projects -- about us $2 per cer. 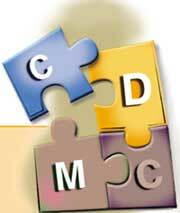 To make a difference, cdm must not be a cheap development mechanism. Private industry offering us $2 per cer to farmers is peanuts, and so it lays itself open to the charge of being interested only in making a fast buck. It must truly become a clean development mechanism. cdm was designed to (a) help developing countries in achieving sustainable development and (b) "assist" industrialised countries meet emission reduction targets. The aim: industrialised countries would invest in 'clean' projects in developing countries; emissions reduced through such investment would be credited to the investor.  To ensure cdm provides cheap emission reduction options to the rich world. Private companies are allowed to dominate the field. They make deals with others of their ilk. Deals are scrutinised by private consultants.cdm today is thus about creating a carbon trading market, outside the (very pale) pale of regulatory control. The path is thus open for short-term greed, and not policy, to drive the market; cdm has become yet another transaction between two willing partners in this sphere. An imperative to mitigate climate change using market a instrument, has reduced itself to using the worst tools of an unfair market. For instance, it thrives on non-transparency so that future sellers do not know the price of cers and are forced to sell cheaply in the face of competition.  To ensure whatever is done is certified, so that each cer is backed up with proof that it reduces an actual tonne of carbon dioxide equivalent. It is important for carbon credits to figure in the balance sheets of the developed world. So, the role of host (national) governments has been minimised. The system depends on private audits.  To ensure that each project is additional, so that only that project which would not have happened without cdm can qualify. This simply means whatever a government does to mitigate climate change -- as a matter of policy -- cannot qualify as cdm work. For instance, if the Indian government specifies tough emission norms for buses, the public transport sector does not get credits under cdm. The argument is: isn't that something they were mandated to do? If a country has standards for tighter emissions on all electric appliances, resulting in huge efficiency gains and lesser emissions, it cannot apply for cdm. These projects will not be seen as additional, but 'business as usual'. The current design provides countries with perverse incentives to keep polluting as long as they have the money to pick up carbon credits. In this respect, is not cdm actually against sustainable development? In all this, the basic criterion -- cdm must "assist" developing countries for sustainable development -- has got lost. Poor countries, with financially-strapped governments, are forced into a mindless competition to facilitate the selling of credits, cheaply and as fast as possible. Woe betide a government if it interferes or makes regulations. The drive for 'cheap' reduction is reflected in the kind of projects currently registered or under validation. Wind energy projects constitute 7 per cent of all projects; they bring less than 3 per cent of cers being considered for sale. There are no afforestation projects on the anvil. No high-end energy efficiency projects, no urban public transportation projects. Over 50 per cent of cers sold are to harvest fugitive gases -- hfc-23 and n2o -- from industry. Another 26 per cent are for projects that harvest gases -- largely methane -- from landfills. India is even better than the rest of the world in selling itself cheap. As much as 74 per cent of its cdm portfolio is given to harvesting fugitive gases. It is also less diverse. There are no projects from public utilities -- say, public sector power companies that desperately need to invest in emission reduction, or city governments that need cleaner buses. There are no small scale projects from communities on renewable energy, or afforestation. "Small-scale" has become "private sector". CDM is not about a financial mechanism. It is about finding real and workable answers to climate change, increasingly threatening our world. But the current cdm design--deliberate and purposeful--has been to make it a bilateral business deal between two self-interested players. This has made cdm what it is today--a cheap and corrupt development mechanism. Unfortunate. cdm can be a mechanism for real and tangible change--both in the developing South and the industrialised North. Combating the threat of climate change requires cooperation. Developing countries need technological and financial space to make the transition to cleaner energy. But not through short-term, meaningless deals. Thus, it is clear that cdm will have to be reformed. Firstly, the rules of the game need to be changed so that there is far more accountability and transparency in the governance of this mechanism. The price has to be openly negotiated; the role of different players has to be clarified, and penalties decided for consultants and designated operational entities that commit fraud. It is particularly important governments demand clarification of their roles. Otherwise, they will be endorsing dubious deals. They need to take more charge. Secondly, the South must change energy use and leapfrog over the energy-wasteful and polluting route of the North. But this will require policy and directions. It is ridiculous how current cdm rules tie themselves into knots defining additionality, so that it practically drives governments to do little. cdm, to be a driver of change, has to be built as a supportive mechanism to the policy and legal framework of each country. It cannot work against it. Governments have to demand cdm is subservient to them, not a parallel, mercenary process. Thirdly, all this requires real discussion on price. Everything done to make cdm complicated and so corrupt has been done to keep the price cheap. Climate change will require structural changes in the North, which it has found impossible to do. Annex 1 countries (industrialised countries with emission reduction commitments) are behind on their targets. Little has been done to bring shifts in the longer-term emission trends. What is needed, therefore, is to make cdm even more meaningful in this context. The North must do more to make changes in its countries. But it can also do more to make cdm work for both North and South. Currently, cdm is only for a commitment period which ends in 2012. This does not allow for long-term projects to be conceptualised, and the price to be fixed to make these projects viable. It is therefore imperative that the industrialsed North must decide on the next commitment period so that cdm can be reworked for real changes. It is also clear the South must not take on any commitments in this Kyoto-2 period. This phase belongs to the big polluters -- the usa and Australia. But what the South can certainly contribute to is in mitigating deadly greenhouse gas emissions. It can do this by ensuring that cdm is used for carefully constructed policy change that has enough regulatory teeth to ensure cdm truly benefits a nation. It can and must do its bit. What it needs is a little bit of help from its friends.